Incredible value and investment opportunity for this exquisite custom estate home overlooking the 10th hole of the award winning Red Tail golf course. Vacant and MOVE-IN ready today! This immaculate Dave Brewer masterpiece features superior design and outstanding craftsmanship throughout a 4 bedroom, 4 bathroom 4 way split bedroom floor-plan. Lavish ceiling details, custom mill-work and top of the line fixtures truly set this home apart. The gourmet kitchen is complete with top of the line appliances, granite counters, large center island and a hidden walk in pantry. A spacious and well-appointment game room and the amazing lanai complete with summer kitchen, fireplace and heated lagoon style pool and spa with endless views of the golf course. The dramatic master suite is an outstanding compilation and the luxurious master bath with stunningly designed dressing room features impressive floor to ceiling custom wardrobes and lots of natural light. Each room is well-appointed, including the over-sized laundry room. The garage will win over car enthusiasts with its separate HVAC, custom cabinetry, refrigerator and TV area. Other important features include 20kw gas generator, plantation shutters throughout, water filtration system, central vacuum and private laundry closet in Master Bathroom. 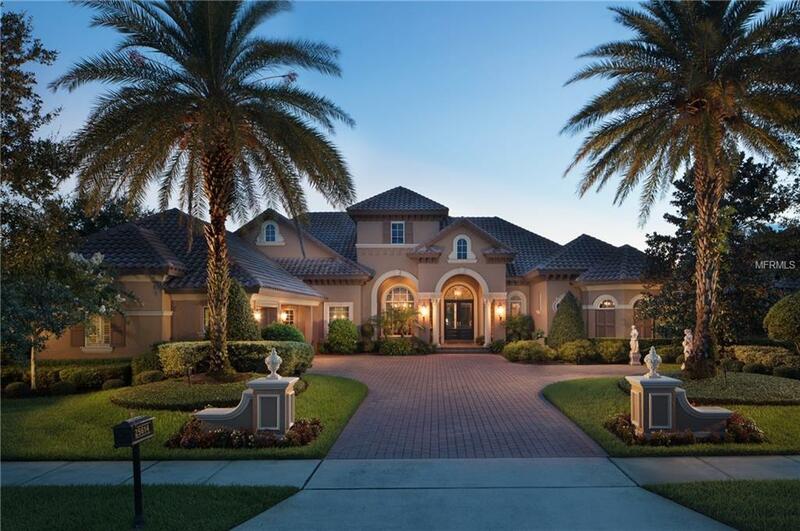 Enjoy an amazing Florida lifestyle in a community of rolling hills and luxury estates. Red Tail offers a quiet Golf & Country Club lifestyle located just minutes from the best Central Florida has to offer. Additional Lease Restrictions Buyer To Verify Any And All Restrictions To Buyer's Satisfaction. Amenities Additional Fees Golf Club Social Membership $85/Mth Plus Food & Beverage Minimum $150 Per Quarter. Pet Restrictions Buyer To Verify Any And All Restrictions To Buyer's Satisfaction.